These personalized bags will be a hit at your next birthday party. Order a treat bag with every child's initial on it and hang it on the back of each chair!!! 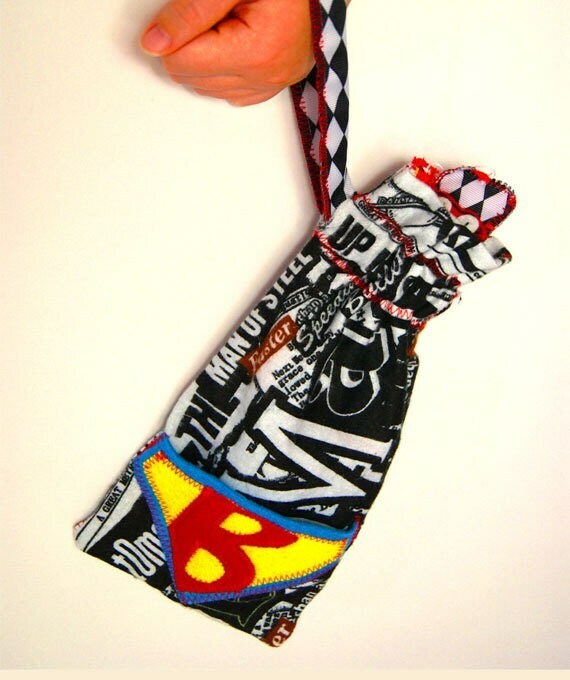 Not only can you fill the inside of the bag with party favors but the large personalized superhero badge with your childs initial on it is also a pocket to hold party treats in! The long handle also makes it easy for children to put on their wrist and carry around...great for traveling!